Special thanks to Charles Lusthaus for his insight and encouragement. This is the second post in a three-part blog series published by Reflect & Learn on integrating environment and sustainability in organizational practices and culture. As always, we thank you for your comments and insights. The last blog in this series discussed the increasing dialogue around environment and sustainability in organizations. With that discussion well underway in many sectors, the question remains: what can organizations actually do to enhance environmentally friendly practices in their everyday activities? There are many ways in which an organization can pay greater attention to environmental and social concerns in its daily operations: conducting an assessment of its environmental footprint is just the first step. Once that footprint has been defined, recognized and understood, an organization can work to embed environment protection into its culture, strategies and management structure on multiple levels. Among these different possibilities, environmental or “green” accounting is one way in which an organization can continuously remain aware of its footprint and work toward reducing it. 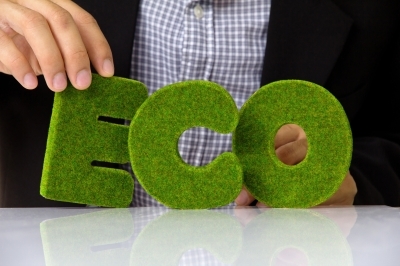 Green accounting supposes that the environment and natural resources are not free goods. It is a way to calculate “the use or depletion of natural resources” (e.g. forests, water, air), and thus measure a given organization’s environmental impact in financial terms (IUCN, p. 1). On an international scale, the System of National Accounts tracks countries’ economic activity using a framework developed by UNSTAT. Through this system, international economic trends can be derived, compared and regularly updated, feeding into public policies that favour growth and development. From an environmental perspective, the System of National Accounts has yet to be perfected so as to include expenditures for environmental protection efforts, non-marketed goods and services, as well as the consumption of natural capital (IUCN, p. 2). Of course, such changes will require not only an international system and standards, but also organizational practices that are aligned with these standards. Such material – and the organizational practices that conform to standards – will require time and resources before they bear fruit. But in the meantime, is it reasonable to place a price of zero on our air and water? Until these changes take place in the international arena, green accounting can and should be used at the organizational level to understand the environmental cost of daily operations. This approach can be interesting for all organizations, including those working in consulting, retail, and real estate, as well as NGOs and multilateral organizations, which are rarely expected to assess their environmental footprint. Unfortunately (but perhaps not surprisingly), green accounting is often perceived with great scepticism by CEOs and CFOs, who are not always convinced of its usefulness or purpose. In their eyes, the business case for incorporating environment and social considerations in decision-making processes must still be made (The Prince’s Charities, 2012, pp. 12, 14). Again, no one wants to make the first move and bear the immediate costs of innovative ideas. However, without action, significant environmental costs are likely to occur. Indeed, green accounting requires the adoption of a longer-term strategic vision which, as I highlighted in the first blog in this series, is not always aligned with the short-term perspective that often characterizes markets and organizations. Old habits, strategies and practices die hard, but through discussion and exchange on the topic – not to mention repeatedly conveying the urgency of the situation – ideas and approaches such as green accounting can gradually be adapted and take hold in different sectors. So let’s keep the discussion going! 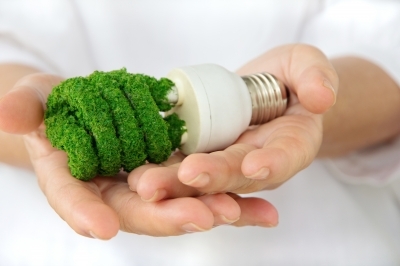 What green management practices has your organization adopted? In the next blog from this series, I will look at case studies of organizations that are working toward enhancing their environmental awareness and commitments, notably by integrating sustainability into their organization’s culture, as well as how they are having an impact. International Union for Conservation of Nature. “Environmental Accounting: What’s it All About?” 8 p.
The Prince’s Charities & Accounting for Sustainability. (2012). “Future-proofed decision making – Integrating environmental and social factors into strategy, finance and operations,” 32 p.
 Increasingly powerful storms across the globe are just one of the indicators of changes in our environmental condition. Previous post ← PART I – Environment, Sustainability and Organizations: Who Should Step Up?